They see her rolling, they hatin'. So this refashion was probably one of the quickest I've ever undertaken, but also possibly the one I love the most! I did it whilst cooking dinner a couple of months ago before our holiday to Spain, and lemmetellyou my dinners do NOT take long to cook. 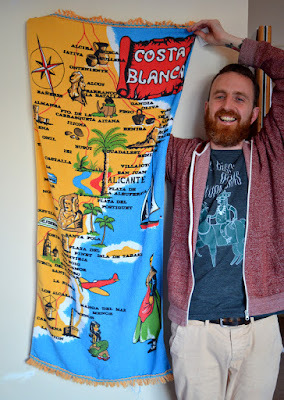 My glamourous assistant is pictured above holding the 'raw material': a thrifted vintage printed beach towel featuring Alicante, which is the part of Spain that we went to in fact. 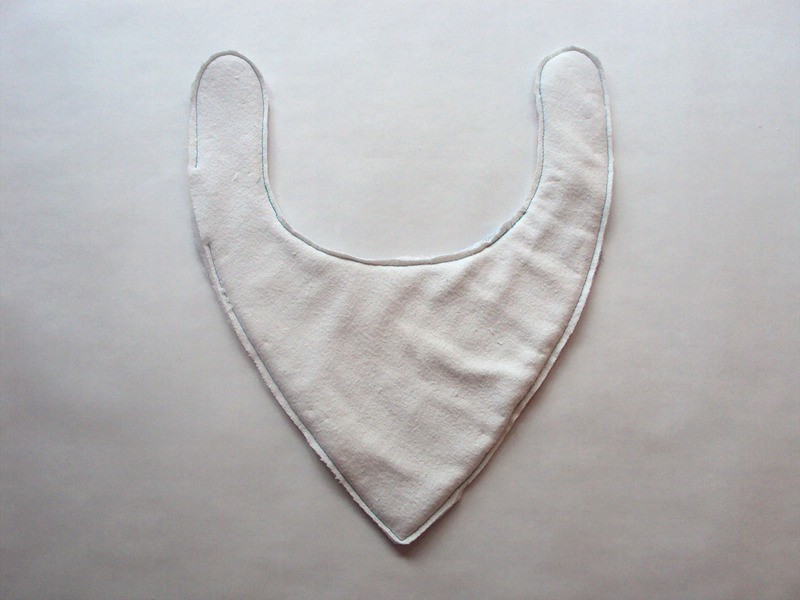 This embarrassingly simple refashion started with me folding the towel in half, cutting a hole in it for Dolores's head, and binding the raw edge of the hole with some wide, soft fold over elastic from my stash. I then managed to convince her to stay still for 0.5 seconds so I could roughly gauge where her arms would go, and stitched rows of stitching from the sides towards her armpits to create armholes. In hindsight I made them a bit too high and deep so it's a bit tricky to get on, but I'll unpick and redo them at some point. The final task was to cut away the ratty old tasseled hem and apply some pompom trim that I bought especially for the job. Aside from making it look holiday-tastic, the trim aids in weighing down the whole thing. Sadly, it never got warm enough during our Spanish break to go swimming and bust out this poncho. However, it got its debut when we spent a lovely sunny day last month at the outdoor water fountains in Bexhill, the next town along the coast from where we live. That was nice because Bexhill was where I charity-shopped the towel from originally. As I say, the armholes need a touch of adjustment, but aside from that this epic refashion is a total WIN, IMO. Much cheaper and so much more fun than the ubiquitous Peppa Pig towelling ponchos most little girls seem to own. The few glimpses of hot weather that we've had here so far this year made me realise that my current warm-weather maternity game is weak. 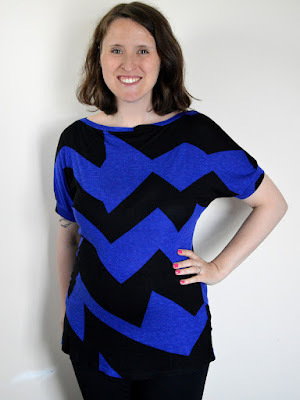 I have no short-sleeved tops for this middle stage of pregnancy. What to do? So I had this fine, slinky jersey burning a hole in my stash. 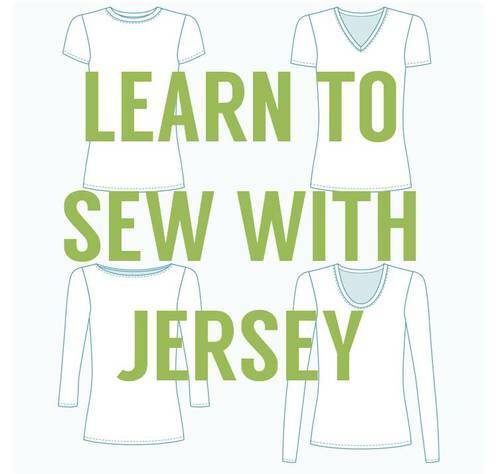 If only I could think of a sewing pattern that requires just that type of jersey..... Stop the search! 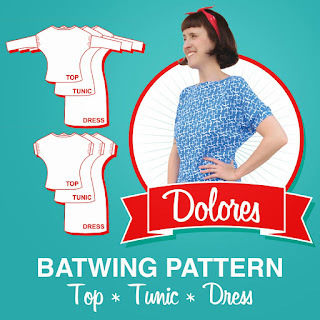 My very own Dolores batwing pattern fit the bill perfectly: ideal for drapey knit, short-sleeve option for warmer weather, tunic-length that's long enough to cover my bump. Yay! 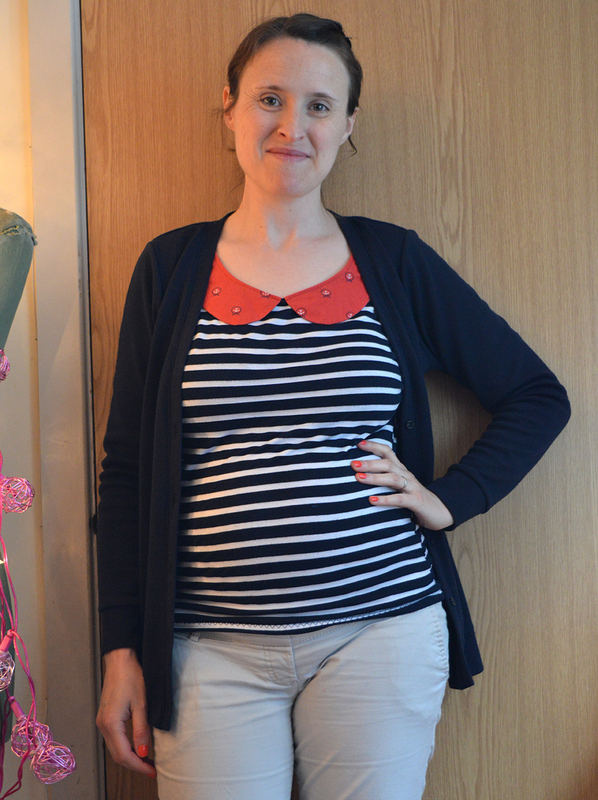 To make it suitable for mid-maternity, I used my regular size (12) for the top part, then from just under the bust area I blended the side seams out to a size 16 until the hem. It's a little loose round the belly at the moment, but I wanted it to last for a couple of months. Post-natal, I plan to take the side seams back in so that I can get maximum wear from it going forwards. 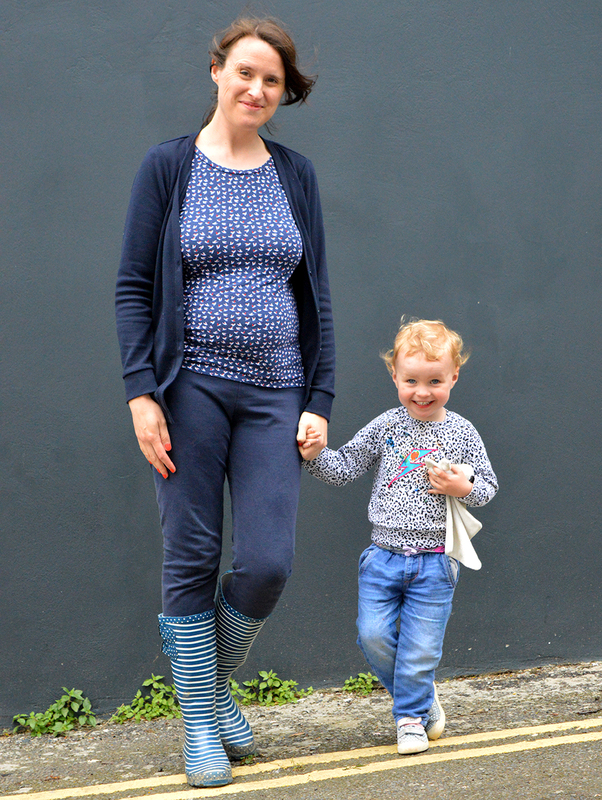 I don't think that this jazzy print is my usual style, but the great thing about maternity wear is that it gives you a chance to try out new things that appeal to you on a temporary basis. 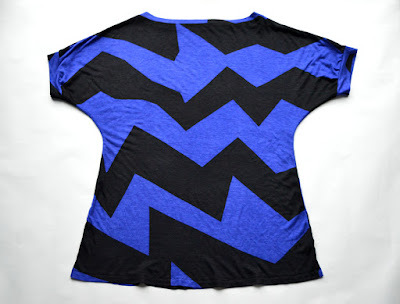 I love this print, and it'll be interesting to see if it starts to feel more 'me' after a few wears. 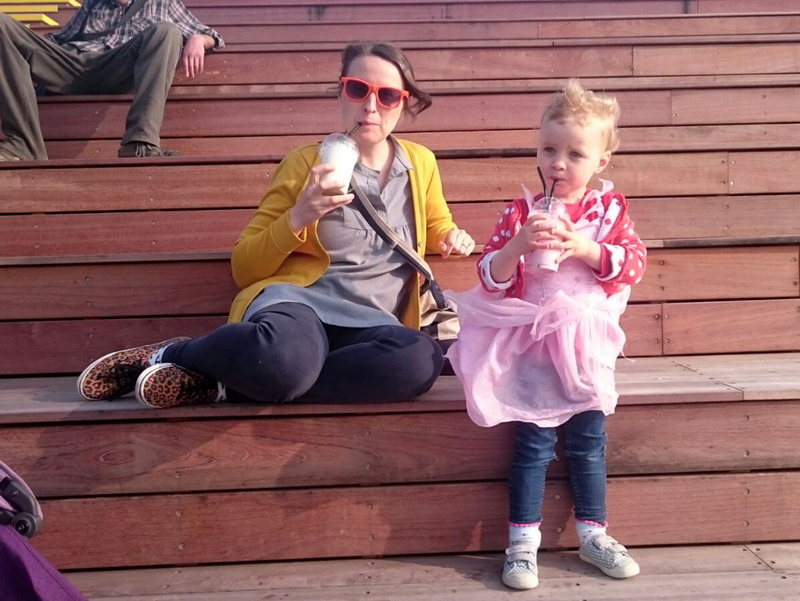 Also, in less than two weeks we'll be moving to a new town where I hope to sign up to a pregnancy yoga class there. 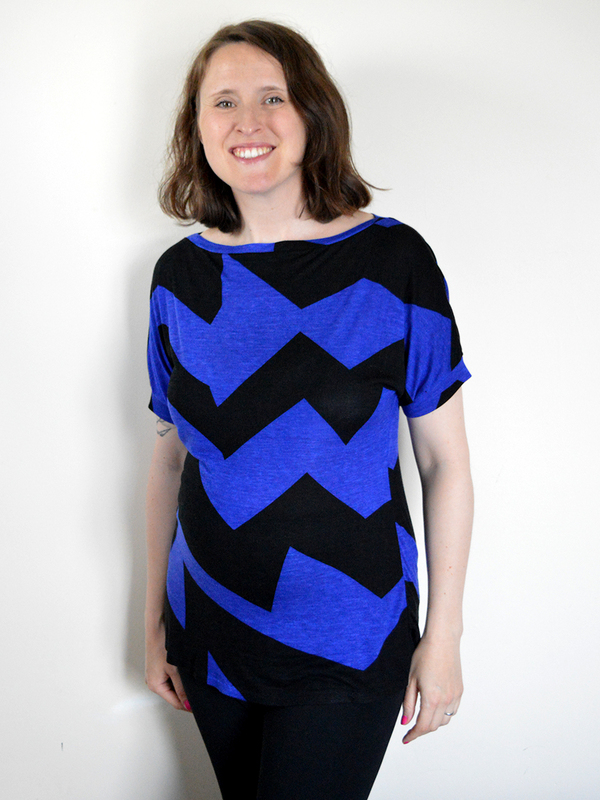 I think this top worn with maternity leggings will look awesome for that! 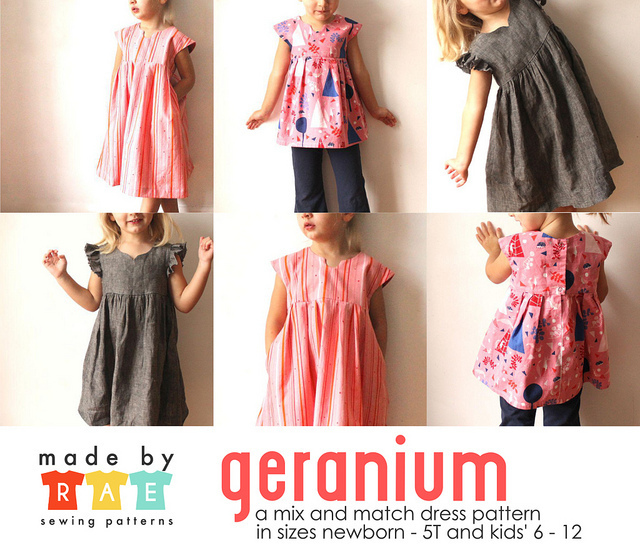 When Annie from The Village Haberdashery asked me if I'd be up for teaching the Geranium dress pattern by Made By Rae as a class again (on Saturday 25th June, there's still a couple of places left BTW! 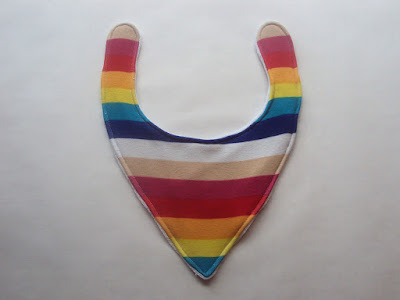 ), it reminded me just how awesome this sewing pattern is. Seeing as Dolores has recently developed a very specific girly dress sense, I thought I'd make her another Geranium to try and create something she would be happy to wear, whilst boning up on the construction method before I teach the class. This sewing pattern is seriously good value because of all the different style options it includes. 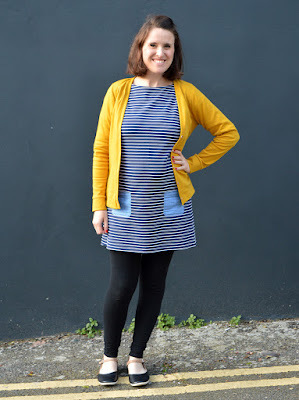 With three different necklines, three different shoulder/sleeve versions, two skirt styles, two length variations AND optional pockets, you could make this heaps of times using different combinations and you'd feel like you'd made a selection of unique garments. For this version, I opted for the plain neckline, flutter sleeves, gathered skirt, dress length WITH pockets. Phew. 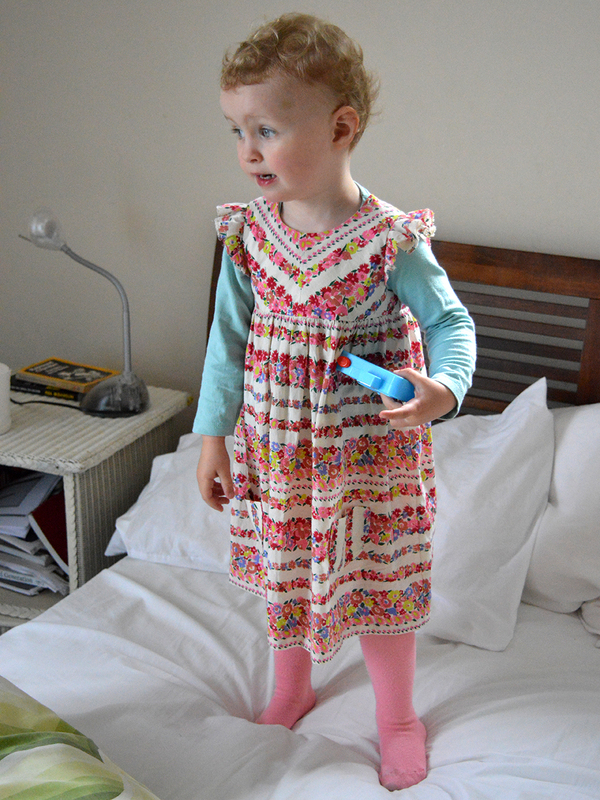 Size-wise, I went for the size 2 (Dolores is currently 2 years 8 months) but added 4cm to the length of the hem. I felt pretty confident that it would work out ok, because she can still just about fit into her previous two versions (#1 and #2), both of which were made using the 18-24 month size. She's a fairly slender child, and as you can see from these pics, she can comfortably wear a T-shirt underneath the size 2 at the moment, so I'm hoping this dress will last for next summer too. Do a google image search for Geranium dress and you'll find a real variety of overall looks, spanning from traditional to contemporary, which seems largely dependent on the fabric choice. As you know, I was firmly aiming for GIRLY with this version so had a rummage in Le Stash to see what I had to hand. I've had this Topshop dress in there for about five years, with the intention of turning it into a summer top for myself. 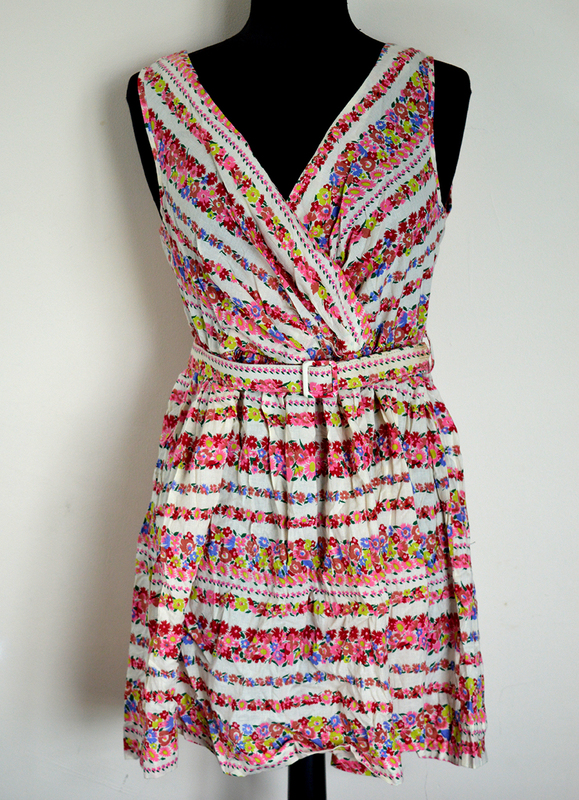 I got it from my former employment, the textile recycling charity TRAID, to whom it had been donated with a lot of other Topshop seconds because its zip was busted. 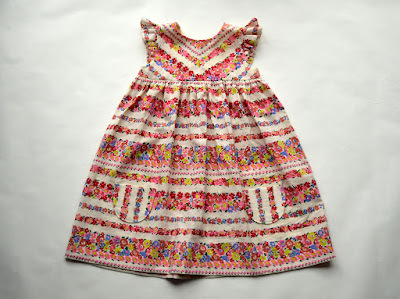 My job was to work on a clothing range made from donated textiles that couldn't be sold in their current form, and when we came across something that we liked that we wouldn't be using for the range, we'd make a donation to the charity and take it home. 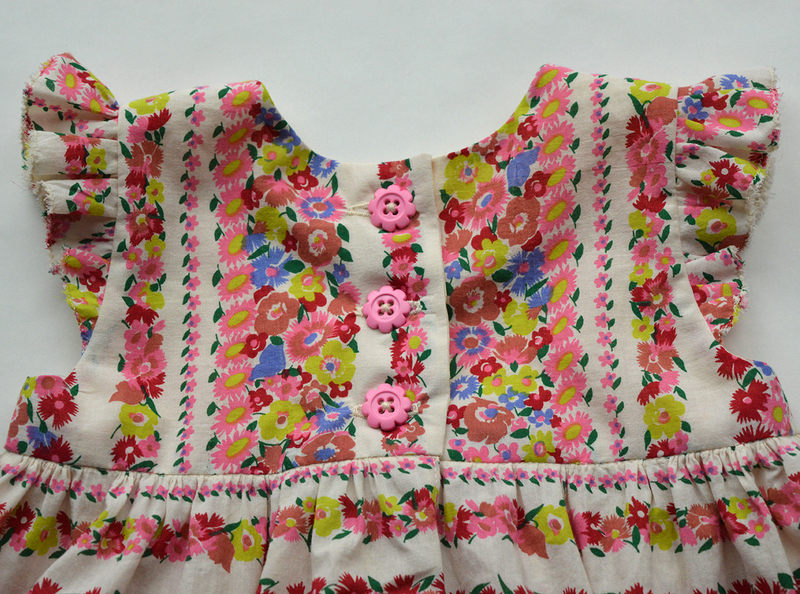 This dress was made from a beautifully fine cotton with a vintage-y floral print that always felt quite 30's/40's tea dress-esque to me. 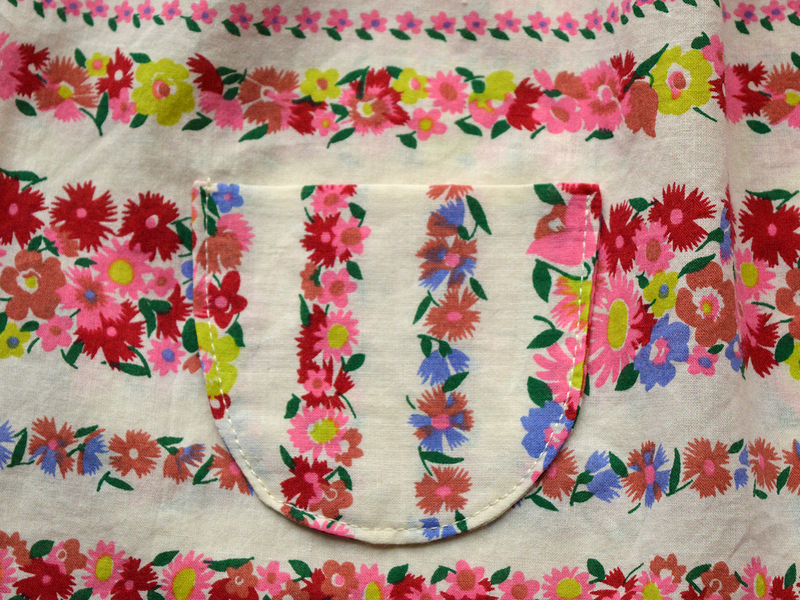 I knew I wanted to include both the flutter sleeves as well as the pockets, and I really wanted to play around with the linear print, so cutting out the pattern pieces was a little challenging. I cut the front bodice in two pieces on the bias and seamed it to get a chevron effect. Unfortunately, there wasn't enough fabric for me to also cut the back pieces on the bias, so I opted for vertical stripes to contrast with the horizontal stripes of the skirt. 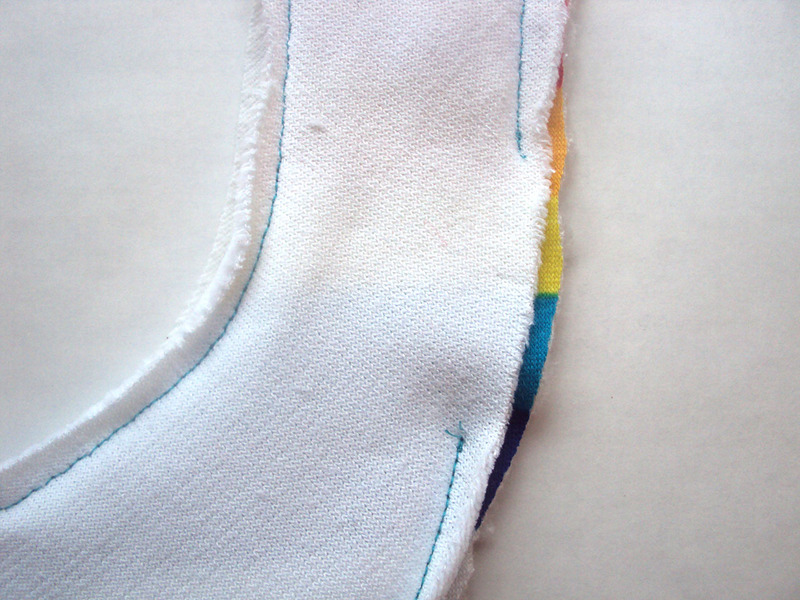 I also cut the patch pockets with the stripes running vertically in the hope that that they wouldn't get too lost in the busy print. She likes it!!! I kept taking it off her at various points today (during meal times and at her messy play sensory class) in an attempt to prevent it getting wrecked, and each time she reminded me that she wanted it back on. I doubt she'll hold it with the same regard that she holds the ratty synthetic sparkly princess dress with peeling off sequins, but at least it's an outfit option that hopefully we won't fight over! As for me, I'm super happy with it. I'm so pleased to have finally used the fabric from this dress as I've loved it for years but never quite felt it was 'me'. 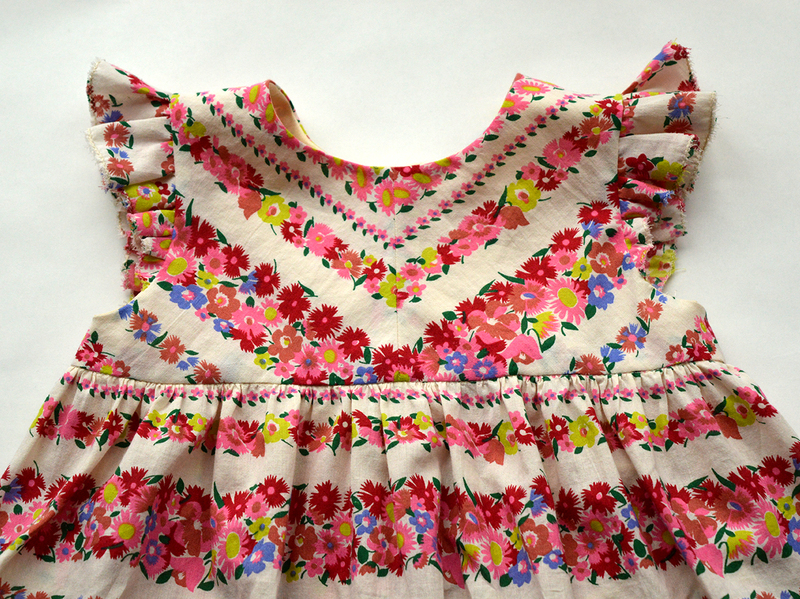 I also took my time with the construction, using french seams for the skirt for example. And although there are a couple of small flaws with this dress that aren't worth pointing out here, I'm very happy with the finish and I think she looks so sweet in it. 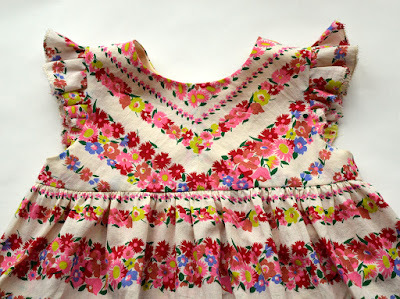 Today I want to share with you another sewing project that I've found to be ideal for using up small pieces or scraps of nice fabric. What is particularly awesome with this one is that the pattern is a freebie, so if you're using up fabric rather than buying some new stuff, it's effectively free! A couple of months ago we went on a week-long holiday to Spain. Dolores only had one sun hat from last year that still fitted her, and knowing how her hats seem to always disappeared when you're in a rush to get out of the door, I thought that making another would be sewing-time well spent. I can't remember where I first saw the Oliver + S free children's multi-sized bucket hat pattern (let's be honest, it was probably Pinterest) but I downloaded it, printed it out and then had heaps of fun raiding my scraps box to find the perfect combination of fabrics for the project. This pattern has been graded into four sizes that should span the ages of six months to eight years. And the best thing? It's reversible!!! That means you can choose two different contrasting fabrics so one hat will match twice as many of your kid's outfits. So how did I find this pattern? 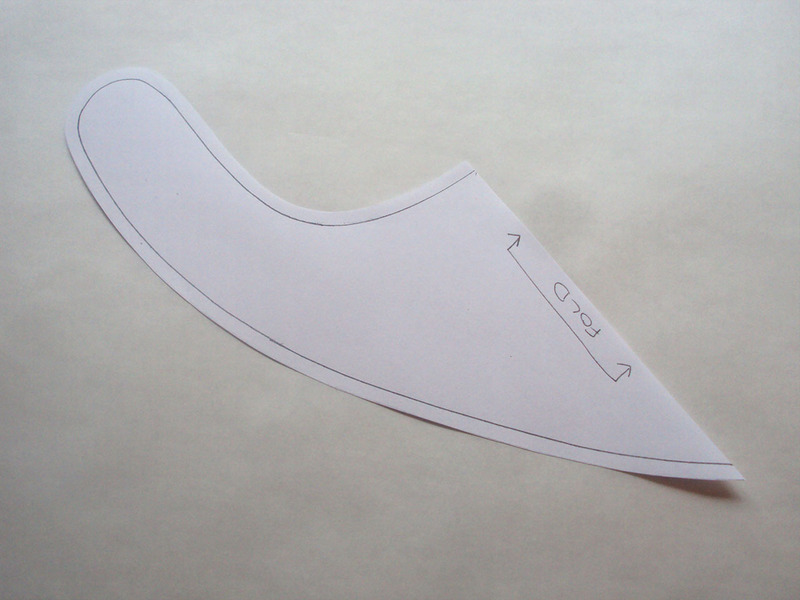 Confession time: as if I'd never encountered a PDF pattern before, I somehow cods up the printing part and despite even measuring the test square like you're meant to, I didn't figure out that I'd printed the pattern out too small UNTIL I FINISHED SEWING THE HAT. I had attempted to make the Medium (approx. 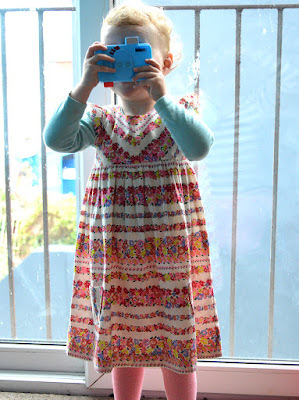 aged 3-5) but it came out much smaller and only just fitted her (she was two and a half at the time). Embarrassing!!! Can I blame that brain-fart on being pregnant please?! Aside from that, everything else was fantastic! 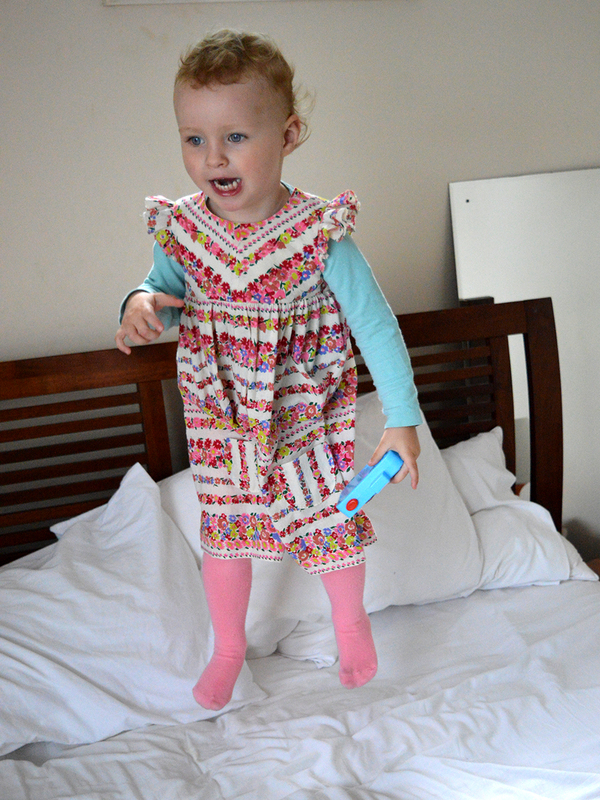 As with every other Oliver + S pattern I've used, the instructions are great and very user-friendly. 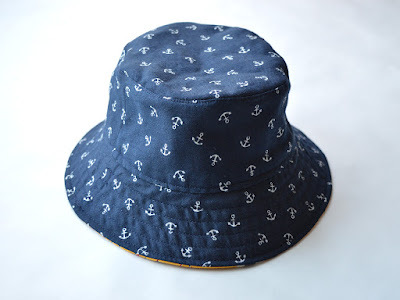 The second time I used the pattern (for the larger of the two hats pictured in this post) I altered the order of construction a bit to complete the processes quicker, and added 2cm to the outer edge of the brim for extra coverage from the sun. 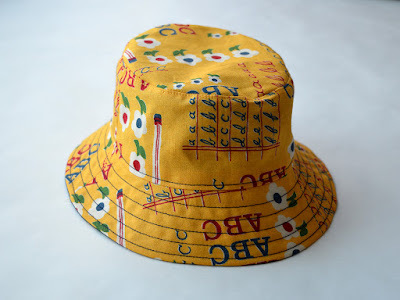 The only other change I made was to use fusible interfacing for the brims on to both my versions rather than sew-in interfacing as recommended by the pattern because that is what I already had in my stash, and it worked fine. 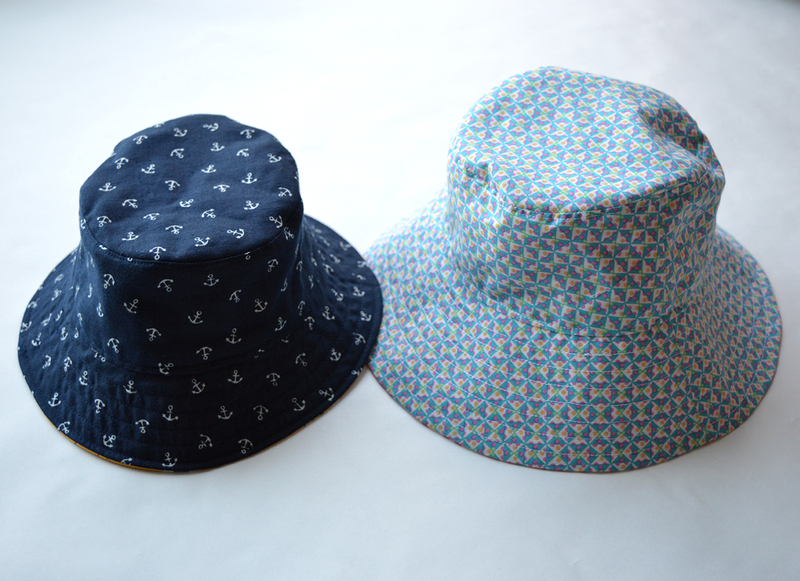 Picking combinations of fabrics for these hats was very enjoyable. I wanted both pairings to be different enough that each side would work well with different outfits, but complementary so that the hats looked appealing as a unit. For Dolores's hat (the first one that came out too small), I chose an awesome piece of quilting-weight cotton with writing on a yellow background that was given to me yonks ago by the lovely Handmade Jane, and some scraps of navy double gauze with little white anchors on (I made this hat before Dolores developed her obsession with pink stuff). The double gauze was probably too thin for this project, but the quilting cotton literally has its back on this one! I really love how these two prints and colour schemes go together, and I'm glad that the outcome is very unisex now that I know I'm expecting a boy! 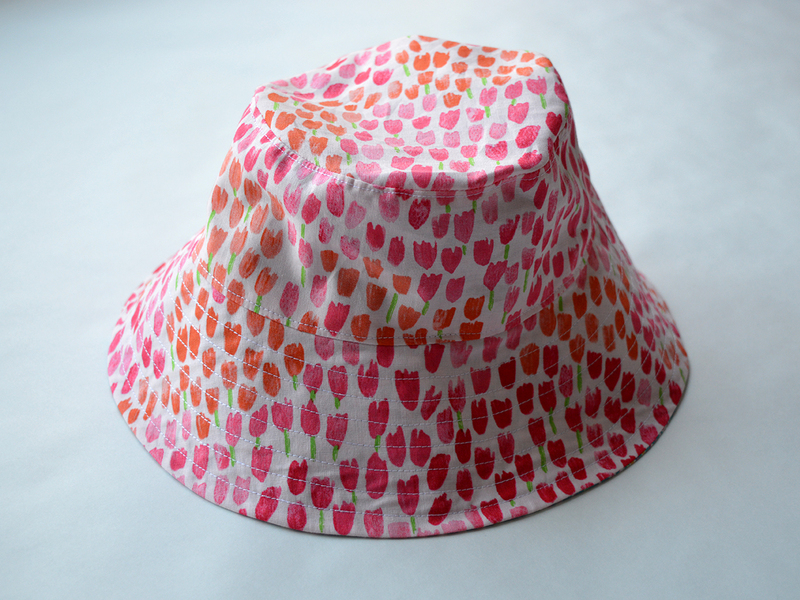 The second hat was made for Dolores's slightly older friend Hazel. Hazel's mum runs a toddler sensory class that I take Dolores along to, but instead of paying to attend we have a bartering arrangement by where I sporadically make Hazel garments in exchange for the classes. 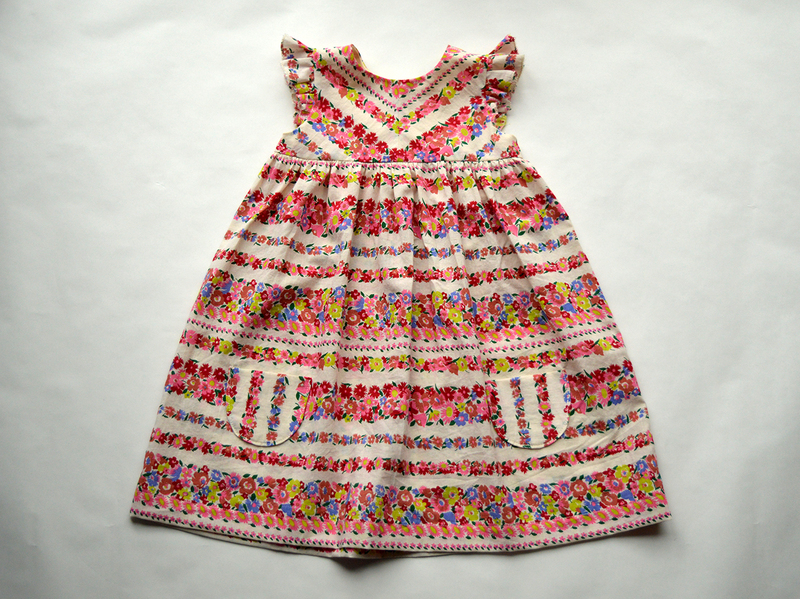 Hazel is a girly little girl, so I picked this pastel-y piece of Liberty print cotton that was kindly given to me by Sewbox.co.uk (left over from this Geranium dress) for one side, and some floral quilting cotton scraps that were left over from a dress I made for The Village Haberdashery's spring window display. Unsurprisingly, Hazel always wears her hat pink-side-out. This was such a fun project, and a really nice way to showcase some small pieces of lovely fabric that just couldn't be chucked into the textile recycling. 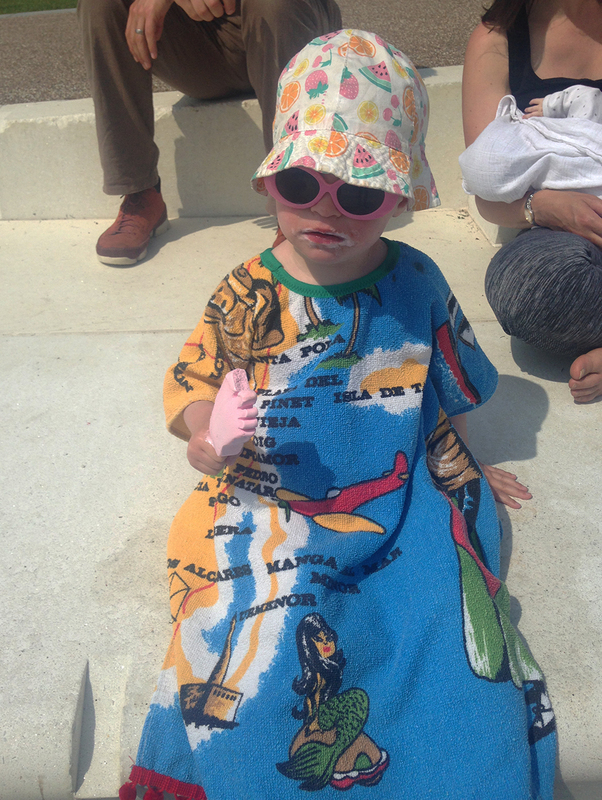 I doubt I'll ever buy my children a sun hat from a shop. 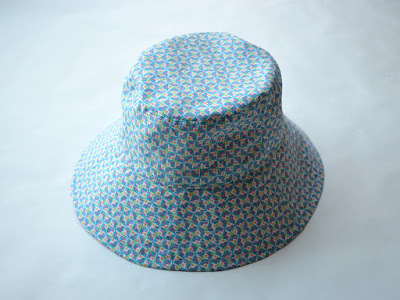 The optional topstitching round the brim gives the hats some substance, however I think thicker weight quilting cottons or similar would work better for this project than a thinner fabric. 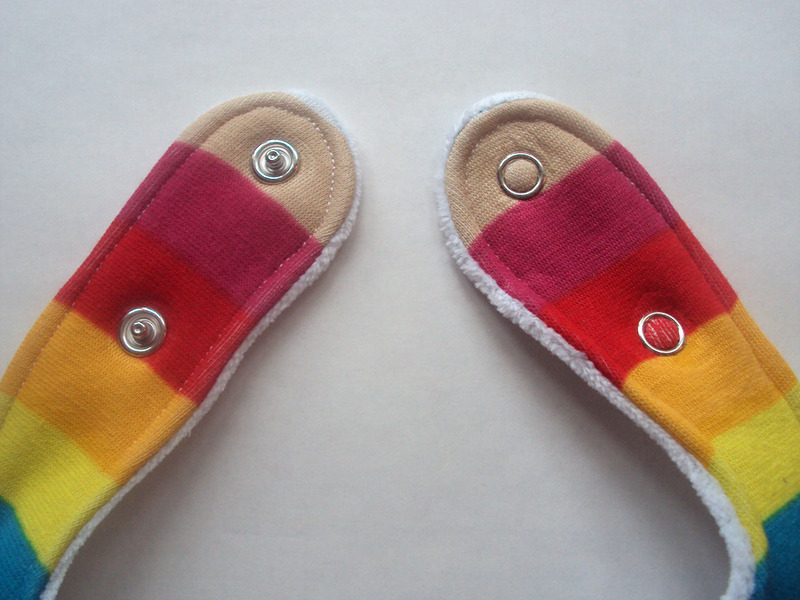 As a relatively quick and relatively cheap make, these would be fantastic gifts to make for other people's kids. Kerching!!! Got to love that total. Have you tried this pattern or something similar? 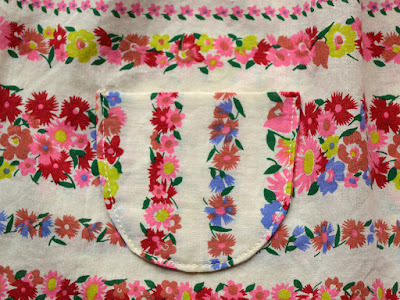 If so, what fabrics did you find worked the best? Have you used any other free children's (or adults for that matter) hat patterns? A few years back one of the topics I occasionally wrote about was self-employment, both specifically about mine which is in the field of sewing, and a bit more generally. A number of people that I've taught over the last four-ish years have found the idea of making money from your passion to be an interesting one, so I felt the reality of that was a topic worth discussing on this blog whilst I outlined how I made my income. 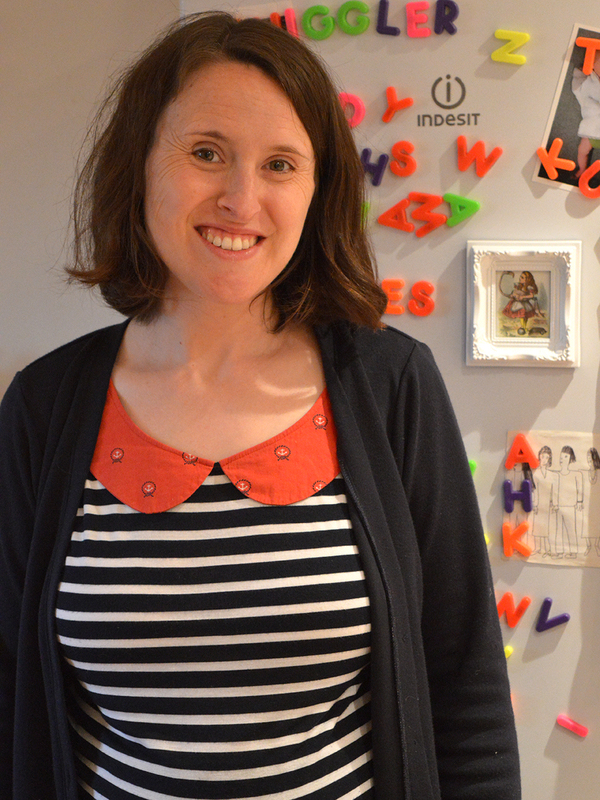 I haven't written specifically about sewing-related self-employment for ages, mainly because my situation hasn't changed very much in the last two years. However, I'm currently staring down the barrel of my second maternity leave, so lots of thoughts, feelings and questions have come up for me that I'd like to air here. For the last two and a half years, I've been the primary caregiver for our daughter Dolores. 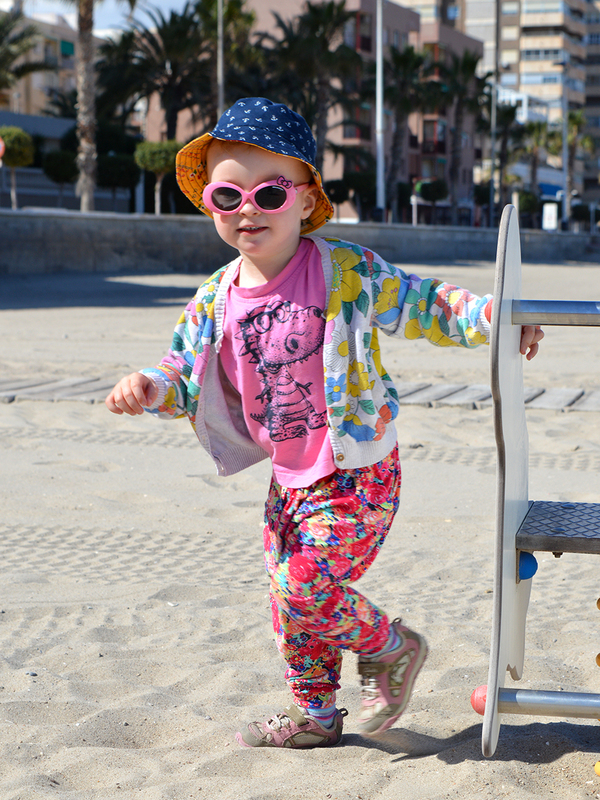 She has yet to attend nursery or any other form of childcare so it's a pretty full on task. 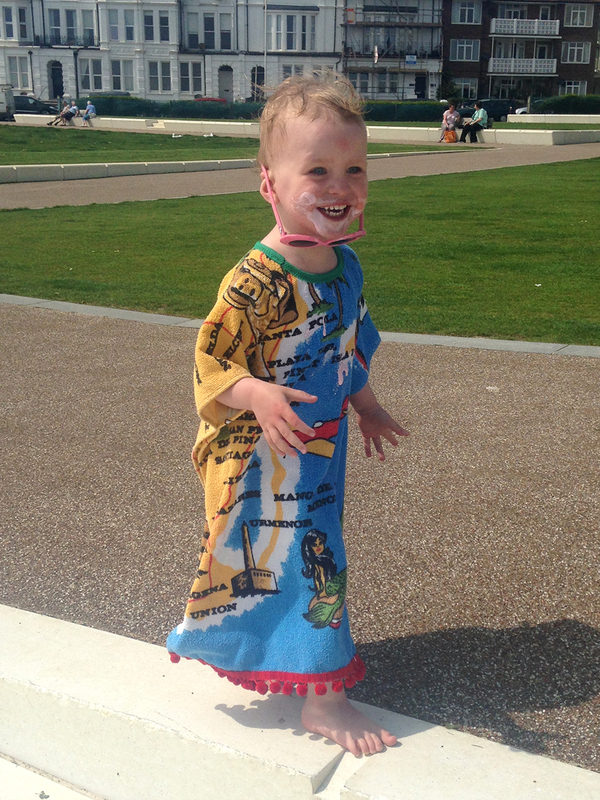 I've also been bringing in a part-time income, the majority of this has been through teaching sewing and dressmaking classes at the weekends (when her dad can take care of her). 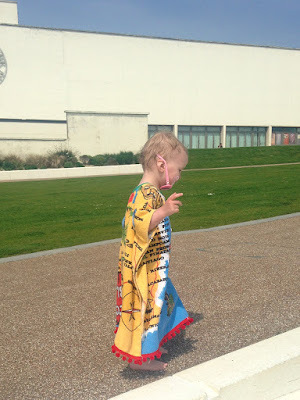 I also make a small amount from blogging, sample making, blog sponsorship and sewing pattern sales, which I work on after Dolores has gone to bed and during her naps times. There's been times that all of these activities have left me really busy, and times when it's been less so and I've been able to do more sewing for myself and stuff. The most tiring aspect has been the travelling to and from classes, especially the ones that take place in London. On bad weekends, the journey can take up to four hours each way. When I haven't had a good nights sleep, and now that I'm pregnant again, it can really take it out of me for a couple of days after. 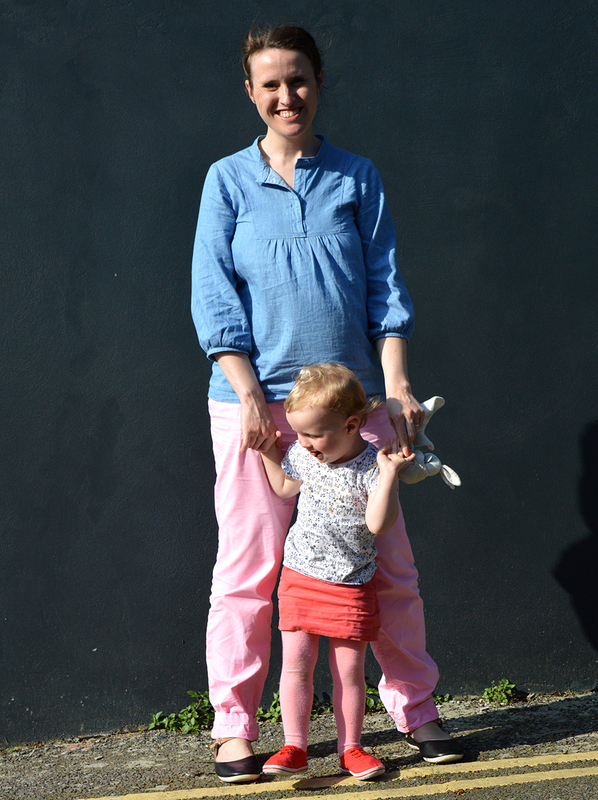 So because of that, I'm really looking forward to my maternity leave to avoid the travelling part (although I know that there is a whole different world of tiredness just round the corner!). But on the other hand, I'm really lamenting having to step away from my working life. (the beautiful and inspiring sewing space at MIY Workshop. As far as I can figure out from my internal enquiries, there's a couple of reasons for this. Partly it's because I've managed to get myself some really great gigs, which has mainly been through working hard at what I do to get good at it. I genuinely LOVE the four companies I currently teach at (Tilly and the Buttons, The Village Haberdashery, MIY Workshop and Fabric Godmother), and getting to help people improve their sewing skills and confidence is a really lovely way to spend time, however tiring projecting a super-positive energy whilst being on your feet all day can be. Plus, getting great feedback from my students about how much they've enjoyed a class and how much more confident they now feel with sewing is so rewarding, and it just feels great to be good at something! There are MANY days that have been spent 'mumming' where I just don't feel like I'm doing a very good job. 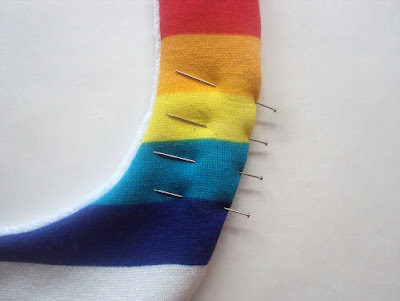 I'm not sure how my general self-esteem will be effected when I can't intersperse those days with the odd one spent teaching someone to successfully insert an invisible zip or get their head round bias binding. (By the way, you can see what remaining classes I'm scheduled to teach on my Sewing Classes page.) 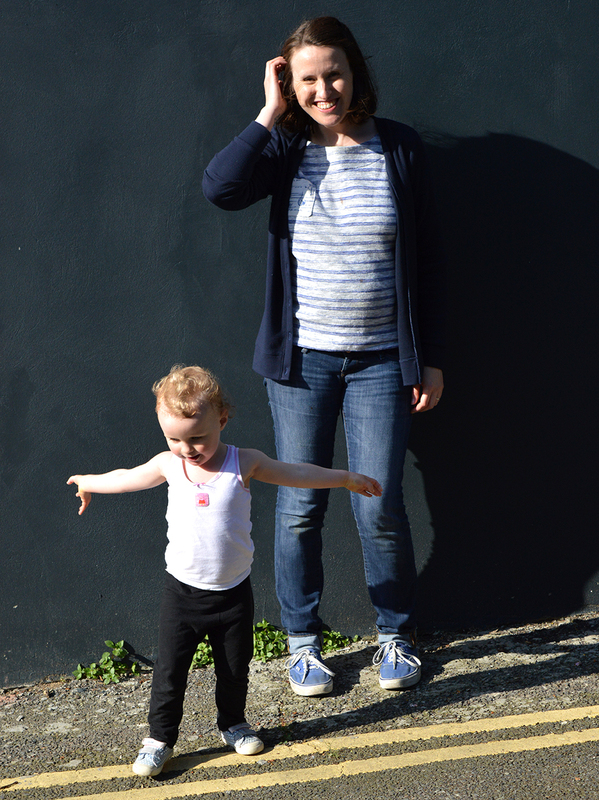 I spoke very frankly about motherhood and the ways in which sewing offers some relief and escape towards the end of this Seamwork magazine article, and some of what I talked about needing sewing for could also be said for my paid employment. You may be thinking, 'But this is your second child, you've been through this before, right? Why are you freaking out?'. I guess there are two main differences this time round. Firstly, I have a much clearer idea of how absorbing and exhausting life with a tiny baby is; I know how little time will be left over for any kind of work or creative endeavour when you're the primary caregiver. I was very naive about that when I first entered motherhood. Secondly, on top of the whole tiny baby situation, this time I'll have a lively toddler to care for and entertain as well, which will surely leave me with even less time and energy to direct towards anything else I might like to pursue. Thinking I could still achieve quite a bit, on top of keeping a little baby alive and happy, lead me to come unstuck last time and definitely contributed to me experiencing post-natal depression. Therefore, I'm trying to be as realistic as possible about the stresses and strains coming my way over the next year or two. So I don't really know what the future holds for my self-employment after my maternity leave. I don't know exactly how different life will be with two tiny children rather than one, and I don't know exactly how Pat's employment will change over the next couple of years either. His situation will have a major effect on both my availability to work and how much my financial input will be needed. But I know that I will need to do some kind of work, however infrequent, for my sanity if nothing else once the mini-dude is old enough to eat solids and breast-feeding calms down. 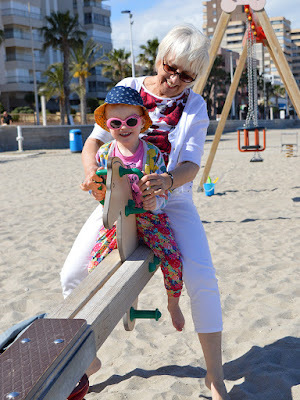 What I guess I need to remember is that their infancy only lasts a relatively short time, although when you're in the trenches it feels like an age! They'll be at school in the blink of an eye, and I'll be wondering where this period went. At that point I will have more time to concentrate on creative ways to earn money. 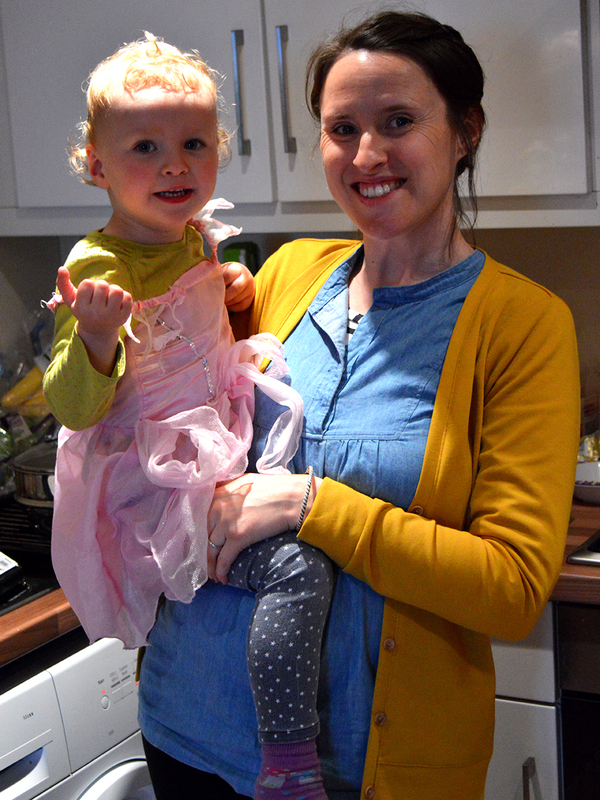 But I know I'm not the only woman to have felt a bit uneasy about an approaching maternity leave, and what that will mean for your sense of self. Likewise, being somewhat lost in motherhood, no matter how much you love your kids and how carefully they were planned, is not a unique experience either. If anyone else felt a bit weird about this stage of life, it'd be great to hear how you dealt with it. Now that the fun of Me-Made-May is over for another year, it's high time I got back to my mini series of blog posts offering ideas for those wishing to make some cute gifts for a new baba. 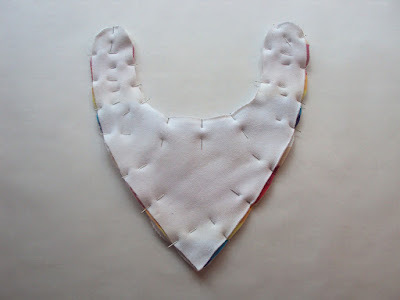 This post first appeared on the Village Haberdashery blog 'The Daily Stitch'. Thank you to them for allowing me to repost it here. 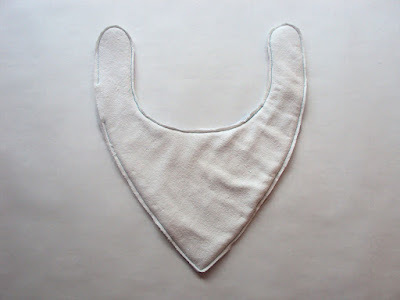 My fourth project suggestion is dribble bibs. 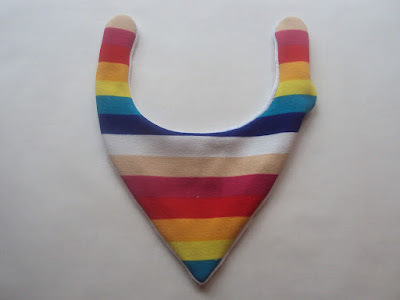 These natty neck accessories are designed to catch some of the crazy-amount of dribble and small possets that will come from a baby’s mouth. 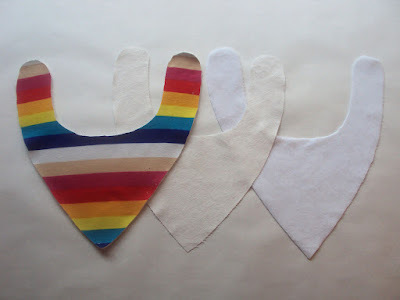 These are not the same as the kind of bibs that babies wear to catch the mess when they start to eat solid foods at around six months of age. 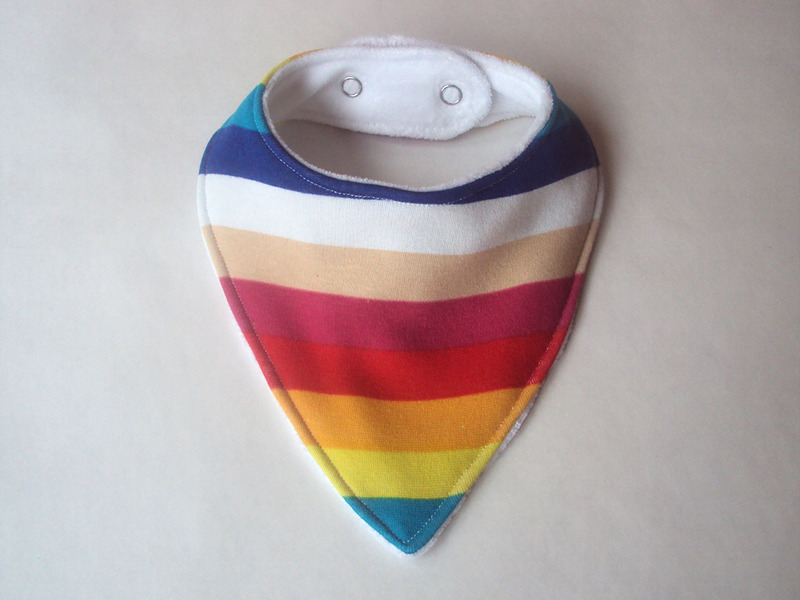 Dribble bibs are needed much earlier in the baby’s sartorial life and play a major role in cutting down the number of outfit changes the baby will require throughout the day. Ta dahhhh! One jazzy dribble-catcher complete. SEWMANCE Festival: Come and Play! Friends! 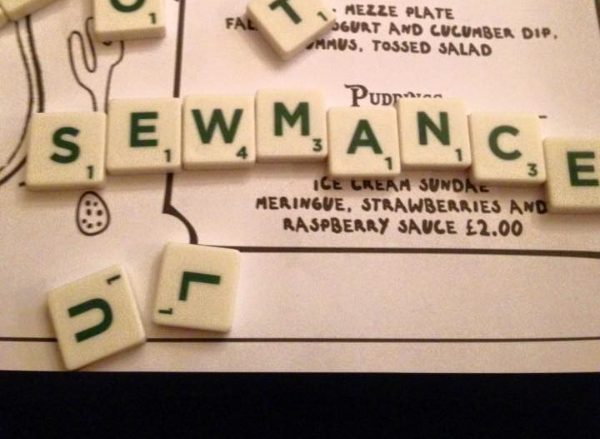 I'm so excited, the first ever Brighton sewing festival, SEWMANCE, will be taking place in just two weeks time! 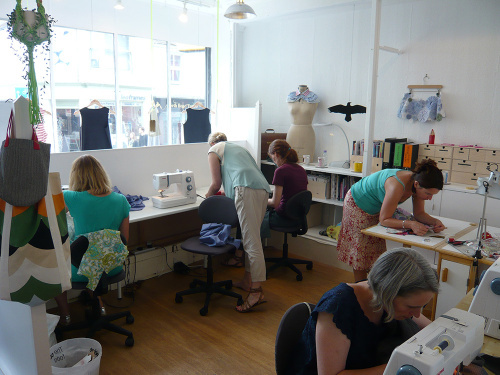 Since I moved away from Brighton two years ago, all manner of awesome sewing-related socials, meet-ups and events seem to now be taking place. And a good many of those, including SEWMANCE, are the brain-children of a lovely lady called Stacie Madden (@brightonsewingbee on IG). I've had the pleasure of meeting and chatting with her at a couple of the Fabric Godmother open days, and she invited me to give a little talk at the monthly Brighton Sewing Bee back in January. She really is a force of nature to put together as much as she does whilst also being mum to a gorgeous little three-year-old dude. SEWMANCE will be taking place Saturday 18th June at The Tempest Inn, Brighton, between 11am-6pm. What can we expect at this inaugural sewing festival then? Stacie has lined up lots of free talks from interesting sewing-related peops, the first of which starts at 12pm and the last at 4pm. All day there will be stalls run by awesome companies including Fabric Godmother and Coco Wawa Crafts where you will be able to buy lots of gorgeous fabric, sewing patterns and other crafty stuff. The Brighton Sewing Bee will be debuting their mini documentary 'Sewing Stories' at 4.45pm, PLUS there will be crafty workshops that you can participate in. 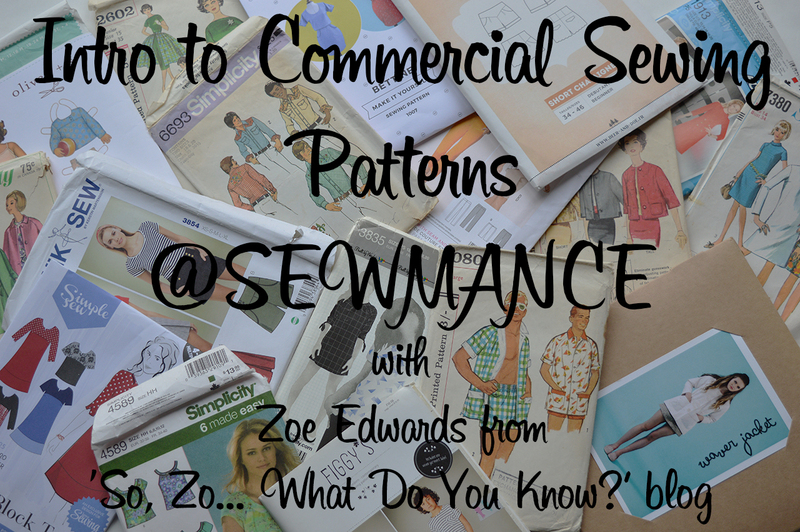 These will include learning to make a wrist pin cushion, sewing a monogrammed hankie, making a simple make up case with zip anddddddd you can enjoy an introduction to commercial sewing patterns with yours truly! Tickets for my little workshop have just gone on sale here and there's a limit of just 10 places, so if you are interested, don't delay!!! 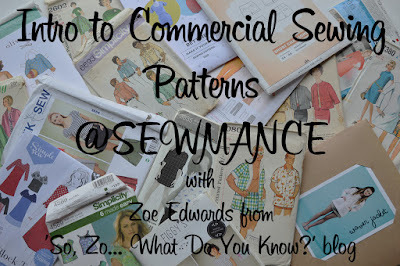 I hope to see you at SEWMANCE if you can make it! Ok my friends, last instalment of my documentation pics of my #MMMay16 challenge. Stick around 'til the bottom for my thoughts and experiences of this year's challenge. Wow! I probably say this at the end of every Me-Made-May, but this month really flew by. I feel I was barely able to catch my breath, let alone dress mindfully each morning. But maybe that's where the value of this challenge lies for me: to get to the end and see that I have already made a successful selection of clothes that can see me through each step of a crazy month. Not that taking documentation photos is at all the point of course, but I'm pleased that I got a photo of myself from all but two of the days so I can reflect on the challenge now it's drawn to a close. 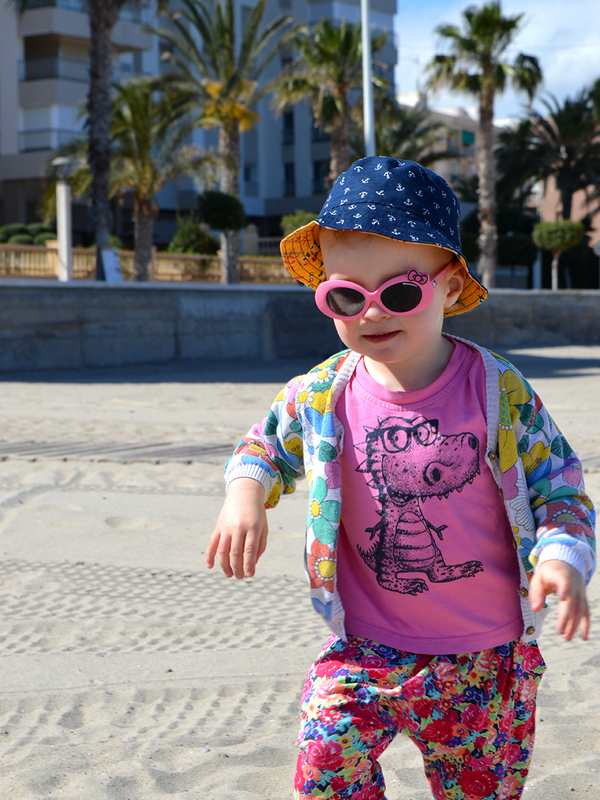 Getting photos of a toddler everyday was impossible as well! I loved seeign her in the things that I make her everyday, but with her increasing desire to wear only pink sparkly dresses, I see that I'm going to have to make some garments for her soon that we can both agree on. I have really nailed my colour palette. Navy, black and grey form the base, with denim, stripes and leopard print featuring regularly. Pops of mustard, red and turquoise provide the accents. Having come to most of my colour conclusions back in 2010, this means that by now each of my creations work with a number of others, and I have no wardrobe-orphans. Maternity dressing is very efficient. 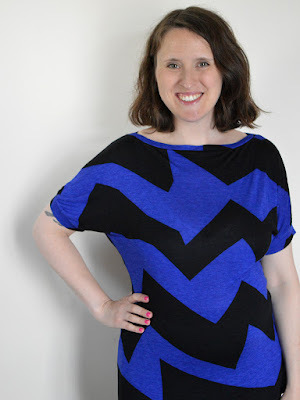 When you have a limited number of items that fit your current shape and size, it really makes getting dressed each day a very quick process that needs very little thought. 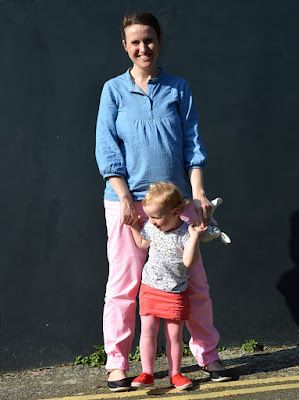 It's refreshing not to dwell over what I should wear, and I'd like to streamline my non-maternity clothing selection a little more for an easier life when this pregnancy is over. I'm on top of my cardi game. My initial pledge for this year's challenge allowed for the occasional wear of a secondhand (i.e. non-me-made) cardigan. Thanks to the completion of my Cabernet cardigans (#1, #2 and #3) I didn't need to wear a secondhand cardi once. 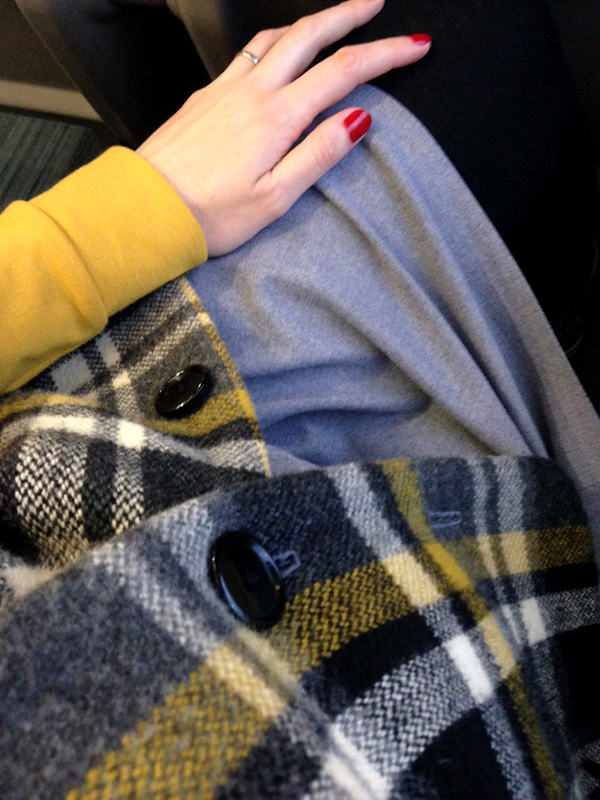 My mustard and navy ones are now so firmly part of my regular rotation that I don't know what I did without them! More bottoms: more fun. Thanks to some very generous friends lending me lots of pairs of maternity jeans and trousers, I currently have more 'bottoms' to choose from each morning than I've ever had. I realise that I usually dress 'bottom up' in that I'll choose which jeans, trousers or skirt I want to wear that day and then think what I've got to go with them that's clean. Having so many pairs at my disposal has allowed me the pleasure of dressing 'top down': picking the 'fun' part of the outfit first because I'm bound to have something to dress my legs in that will work with the top part that I've selected. The well-fitting trouser quest I was on last year (you can jump into the saga in this post) really was a worthy endeavour, and one I should get back on when my post-pregnancy body decides what shape and size it should remain at for a while. If you took part in #MMMay16 this year I really hope that your personal challenge lead you to some interesting and useful discoveries, and even if at times you found the going tough and/or boring, that you had some fun along the way. I LOVE to read your post-challenge thoughts, so please let mwe know your thoughts and feelings on it in the comments section or by leaving me a link to a post if you've written about your experience elsewhere.